HA NOI (VNS) — The Viet Nam Boxing Federation was officially founded at the National Sports Training Centre in Ha Noi on Sunday. 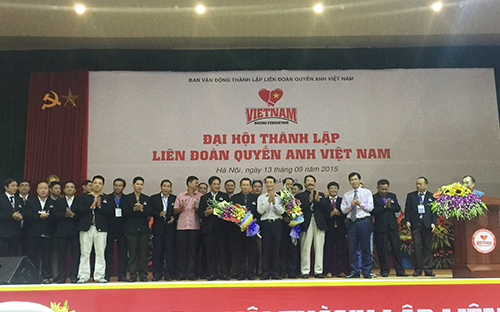 Newly elected Chairman Tran Minh Tien said the establishment of the federation would encourage a boxing movement in the country. Tien said the federation would have clear and firm development plans in the near future. Viet Nam will ask the World Boxing Federation for help in training coaches, referees and boxers. Boxing was banned in Viet Nam in 2002, and has now gradually captured the attention of fans. Luong Van Toan won the first gold medal at the Southeast Asian Games (SEA Games) in 2011. Two years later, Luu Thi Duyen and Ha Thi Linh won gold medals at the games in 2013.